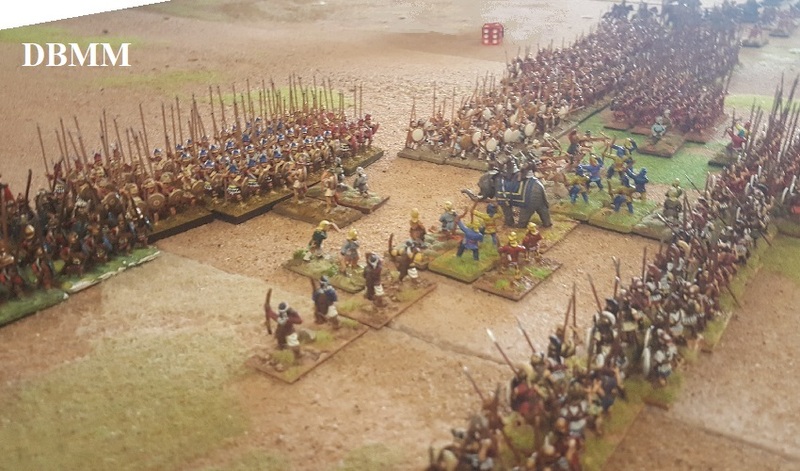 This year a lot of elephants as Eumenes took on Antigonus in Asia in 317 BC. 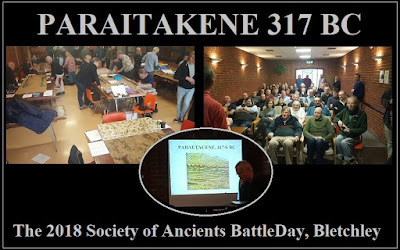 As usual the day opened with a talk on the battle, this year with SoA Committee stalwart, London University's Professor Phil Sabin, the Author of Lost Battles. 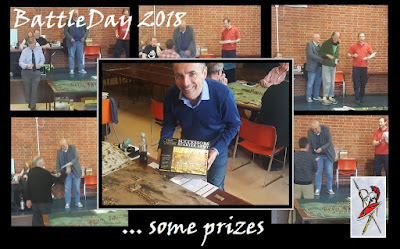 The days was at full capacity ... members standing in the lobby to listen to Phil's introduction, and 15 games spreading out into all the available spaces. 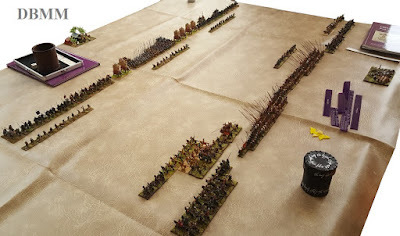 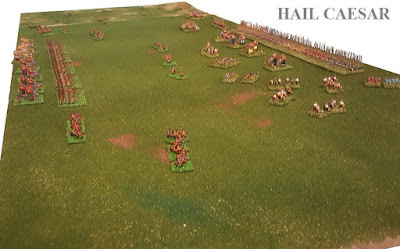 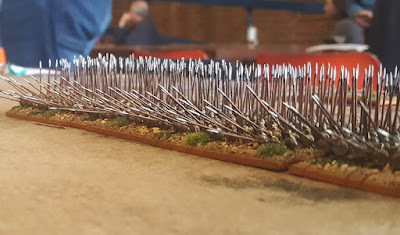 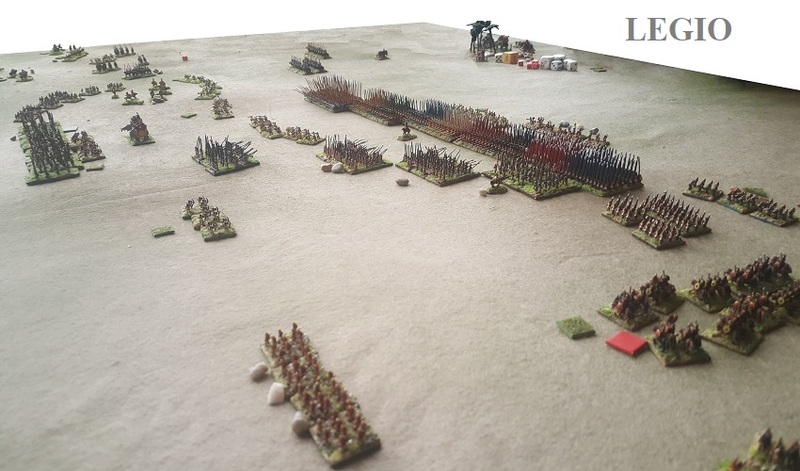 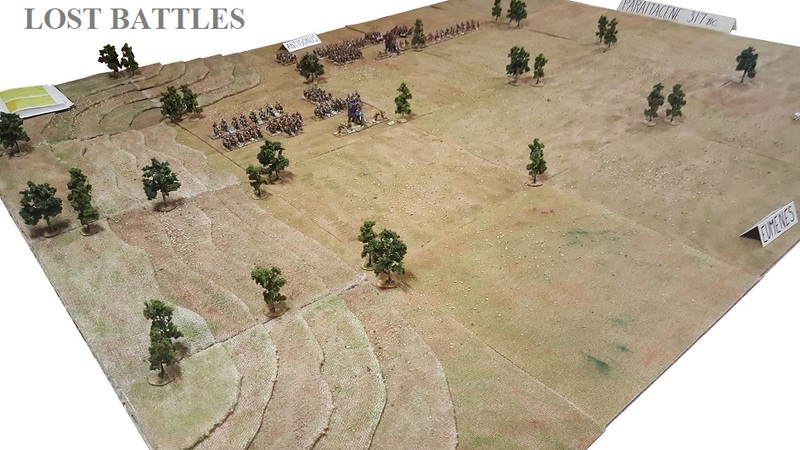 This year I did not put a game on myself as I had accepted Paul M's invitation to join in with the 6mm Big Battle DBA. 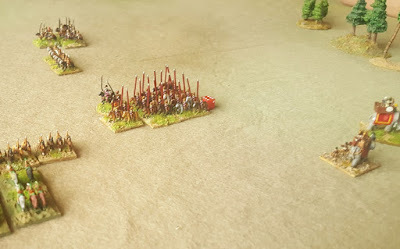 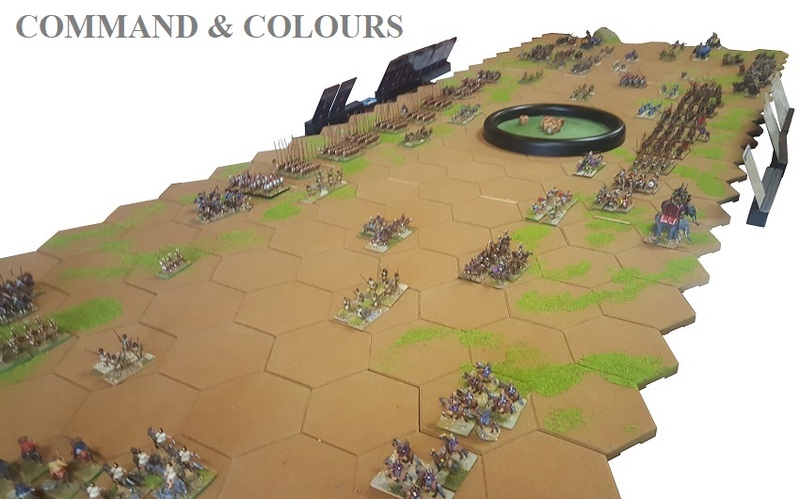 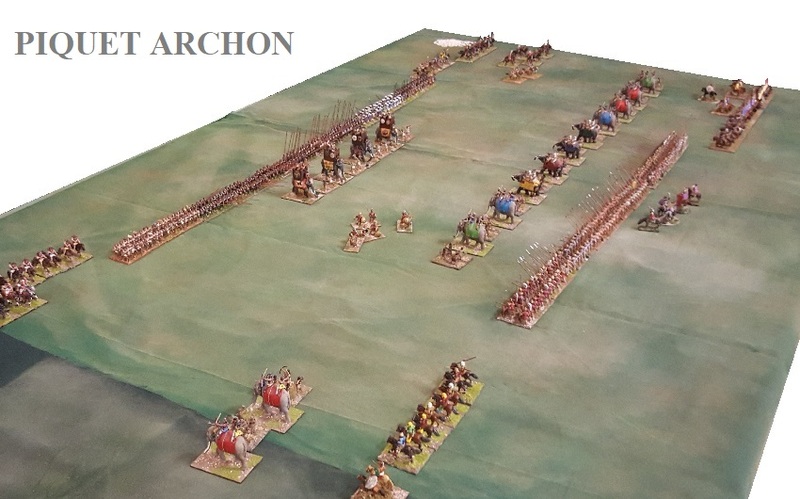 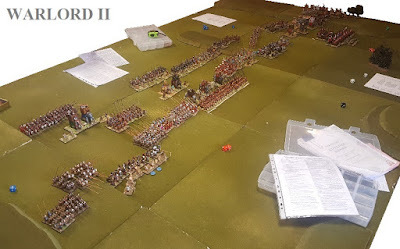 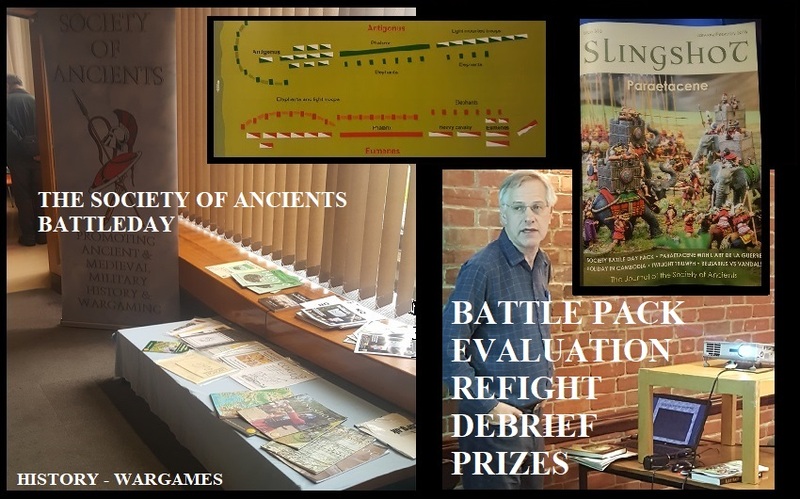 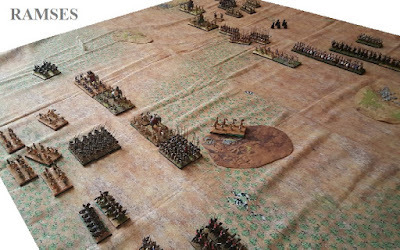 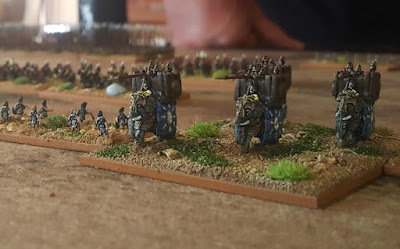 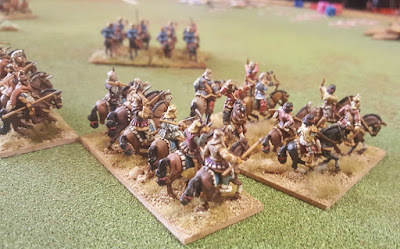 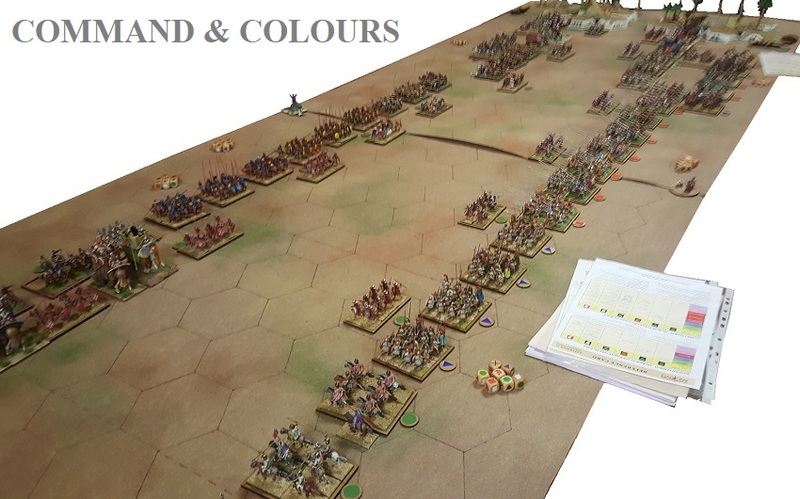 For the record, the games were ... Command & Colours (4 games), DBMM (2 games), Armati II, DBA, Hail Caesar, Legio, Lost Battles, Piquet Archon, Ramses, To The Strongest and Warlord II. 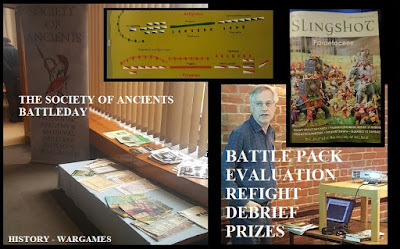 Off site, Chris H played L'Art de La Guerre (reported in Slingshot), and Graham E used Basic Impetus. 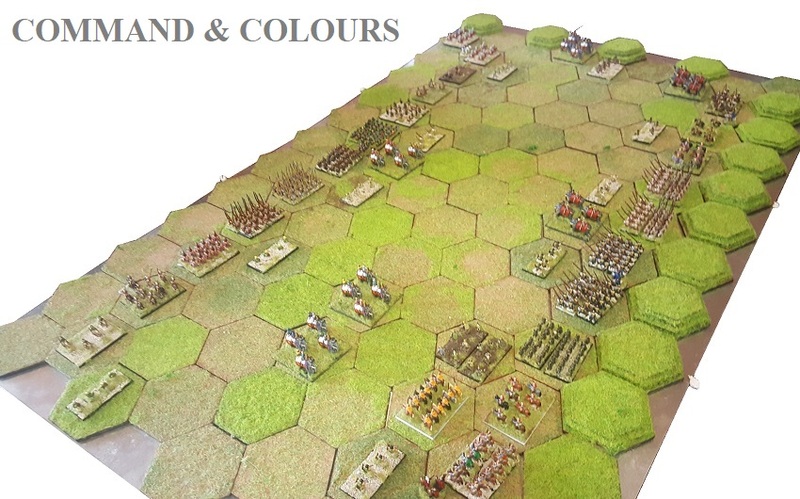 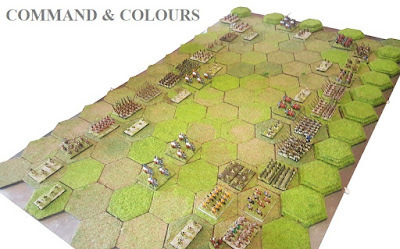 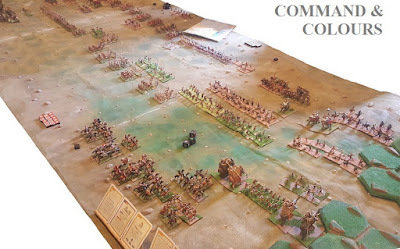 Command and Colours clearly the favourite choice, followed by the DB games, smaller scales predominant. Good to see To The Strongest making an appearance ... another card-driven option. 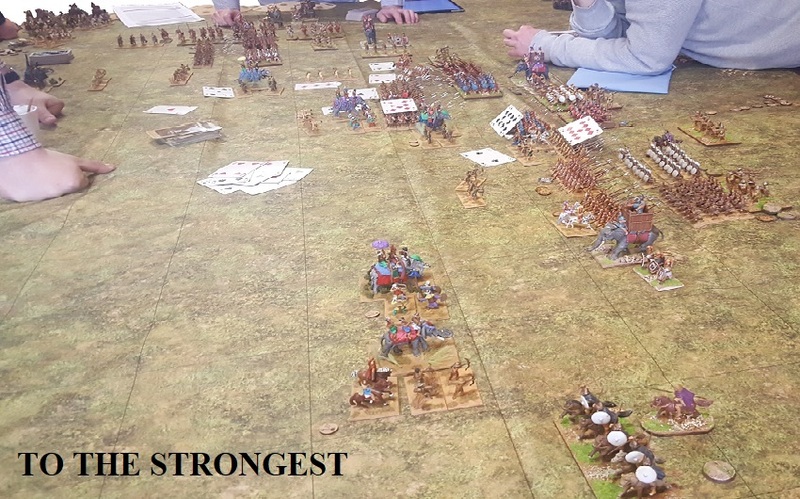 And a 16th game was added in May ... 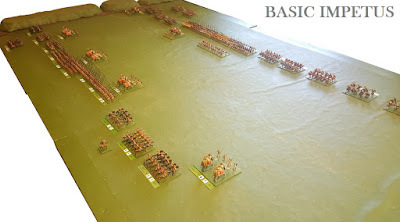 Basic Impetus using 1/72 scale figures in a satellite game in Northamptonshire. 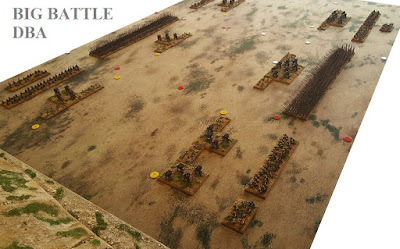 Best Game: Big Battle DBA. 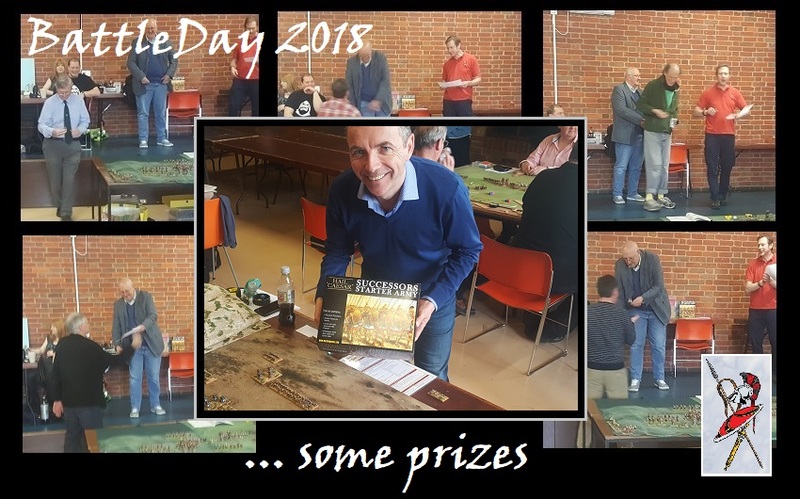 So, we done to Phil, Eric and Alan ... well done Paul M.
Good choices. 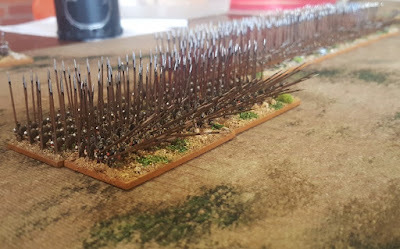 I voted for Lost Battles. 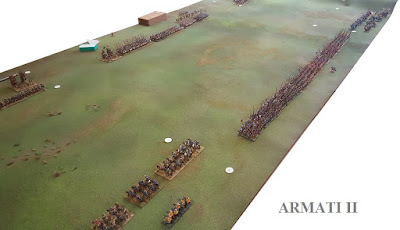 For what it's worth my other vote (as part of the BBDBA game I couldn't vote for Paul) was to the always impresive Armati game. 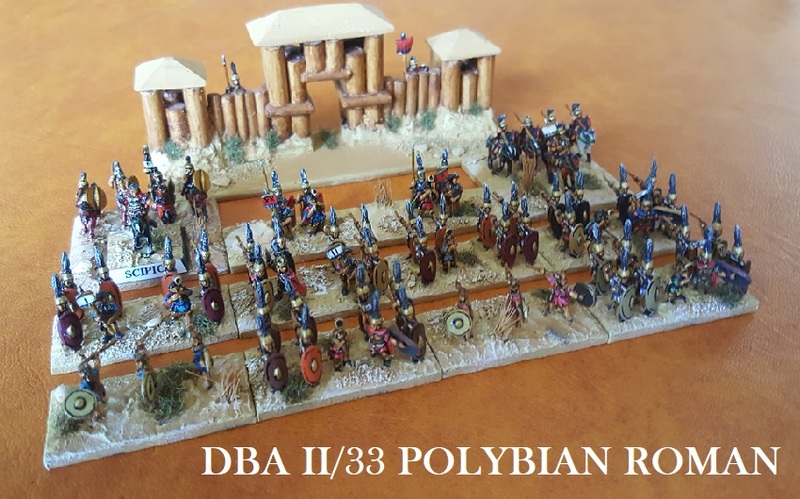 Paul's DBA set up used 6mm figures on 60mm frontages giving some good looking units. All in all a very impressive day ... and most of the games seemed to represent this classic 'revolving door' battle well. Historically it was a close run thing.